Namibia's premier hunting outfitter offering first class hunts for plains and dangerous game. If you’ve always dreamed of an incredible African hunting safari, then you came to the right place. We are a premier Namibia hunting outfitter offering first class hunts for plains and dangerous game. Namibian Safari Hunts offers outstanding hunting opportunities on over 101,000 acres of unfenced habitat in northern Namibia containing excellent trophy quality animals. 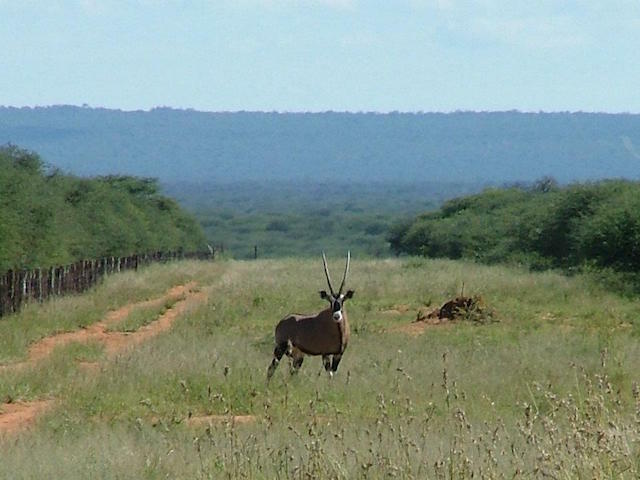 Namibia is well known as a hunter friendly country and our hunting property is located in an area renowned for having some of the best hunting in the country. Historically, over 80% of the hunting trophies taken by clients on our Namibia hunting safaris qualify for the Safari Club International (SCI) Record Book. We only book one group at a time on our safari hunts. Additionally, we specifically tailor our Namibia hunting safaris to the fitness level, hunting experience, and personal tastes of each individual hunter. 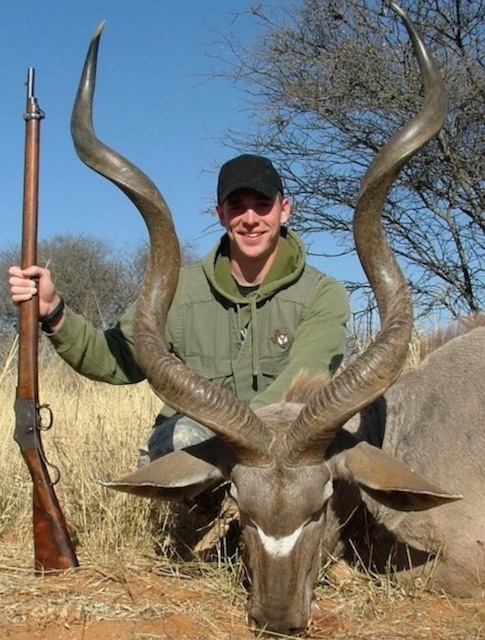 Our Professional Hunter is a lifetime resident of Namibia and a Namibia Professional Hunting Association (NAPHA) certified Master Hunting Guide licensed and qualified to guide rifle, muzzleloader, and bow hunting safaris. If you book a Namibia hunting safari with us, we’ll pick you up at the airport in Windhoek and you’ll hunt in northwest Namibia near the legendary Etosha National Park and the Waterburg game reserve. Our main hunting area is NOT high fenced, thus allowing us to offer some of the best free range African safari hunting at affordable prices. Our hunters all stay in a luxurious hunting lodge wired with 220v electricity. 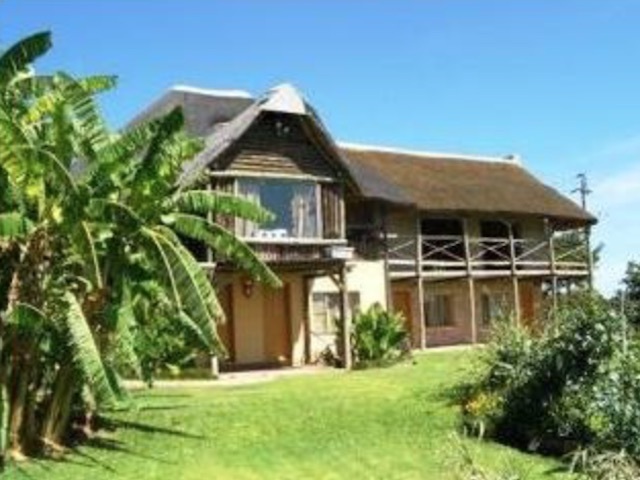 The lodge is kept in pristine condition and has its own private bathroom. Our camps also feature free wifi, cell phone reception, and an outdoor fire pit so you can sit around the campfire and swap stories each evening. Non-hunting guests are welcome on our Namibia hunting safaris and we provide a warm, safe, friendly, and accommodating experience suitable for the entire family. The majority of our guests are from the United States, but hunters from all over the world appreciate our hospitality. We have over 20 huntable species of big game. However, our eland hunting is particularly outstanding, which is no surprise considering that this area is home to some of the largest free ranging herds of eland in all of Africa. Additionally, we have excellent hunting for greater kudu, oryx, blue wildebeest, red hartebeest, mountain zebra, warthog, Damara Dik Dik, giraffe, steenbok, and duiker. Finally, our leopard hunting is second to none and we consistently take gigantic leopard each year. For these reasons, we are an ideal Namibia hunting outfitter for first time visitors to Africa as well as those who are veterans of many African safaris. View our Namibia hunting price list here. In addition to hunting leopard and plains game in Namibia, we also book trophy hunting safaris for both dangerous and plains game in Zimbabwe. We have access to several parcels of private and Campfire land in southeastern Zimbabwe that offer fantastic hunting for Cape buffalo, leopard, and elephant in addition to plains game. 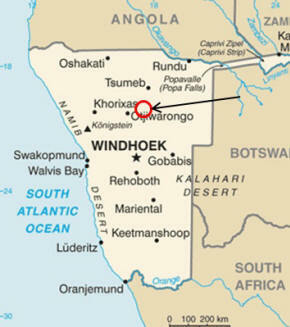 The hunting areas are located just across the Limpopo River from Kruger National Park in South Africa. As a result, every year hunters harvest outstanding trophies on fair chase Zimbabwe hunting safaris with us. To book a quality Zimbabwe or Namibia hunting safari, email us for more detailed information about any aspect of your hunting safari.